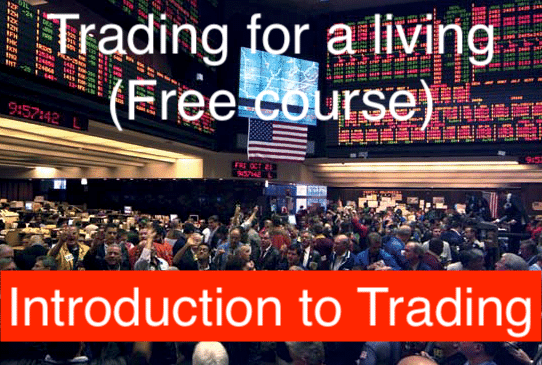 In this free trading course (video based) you will get a structured introduction to trading. We hope that you enjoy the course. Do feel free to ask any questions of your trainer and coach, Anthony Beardsell. 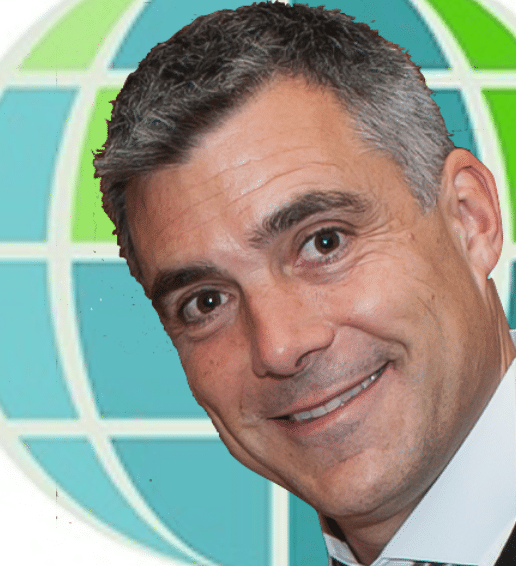 You can email info@excellenceassured.com – we will forward your email to Anthony and he will aim to respond to any contact within 24 hours. (2) Do you want to become a trader, trading the markets from home? Home based trading is a 21st century phenomenon. Just a few years ago this would have been impossible but now technology has made the markets more accessible than ever before. Now anyone can be a trader! Nearly a quarter of the worlds 100 richest people owe their wealth directly to the finance industry. Trading and investing on the markets has given them a combined wealth of over half a trillion dollars and the lifestyle that goes with it. Risking money to make more money is one of the most lucrative industries on the planet. Trillions of dollars are trade on the worlds stock-markets every day by people in banks, dealing rooms and hedge funds but what was once the exclusive domain of Wall Street and the city is now more accessible to everyone. Online trading platforms have opened up the markets and their potential rewards and risks like never before. Thousands flock to trading shows and trading webinars dreaming of swapping the forty hour week to a few clicks of a mouse. Playing with the big boys is not easy. The odds remain stacked against home traders and only ten percent will make a consistent profit but this doesn’t put people off. 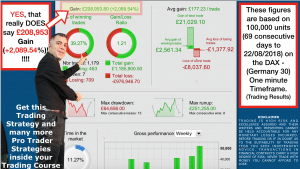 Do you want to become a retail trader, trading the markets from home? The vast majority of online retail traders are trading and operating on the biggest market in the world, the global currency market. Forex. Worth $5 trillion every day. Forex is essential, enabling businesses in one country to pay for goods and services in another but this only accounts for a fifth of all currency trading. The remaining 80% is generated by traders speculating for profit. Retail traders are a small but significant part of Forex markets. Accounting for about $200 billion dollars every day. Do you want to trade Forex? You can trade virtually any currency imaginable. As long as the value of one currency changes in relation to the value of another currency then you can make a profit. Most people can learn the technicalities of trading in just a few weeks but making consistent money in the markets isn’t so straightforward. A profitable trader has to predict whether something is going up or down, by how much, and then buy or sell at the best time. Getting all of this right while risking your own funds is difficult. 90% of retail traders will lose money. That is why you need a proper education in trading. You need to treat it like a business. It is not a hobby, Most novice traders focus on how much money they can make whilst most professional traders focus on how much money they can lose. It is a simple recipe for success but it is amazing how many people get it wrong. Home based traders have far less and slower access to fundamental data than institutional traders on Wall Street and in the City of London. That is why they focus on technical analysis – using data from how the markets have behaved in the past to predict how they will behave in the future. History and markets repeat themselves. Trading is all about percentages, the more you trade with the more you can make. It is difficult to make a lot of money in business unless you are a huge business. No-one can make as much money as traders do with so little to start with. A trader can make a million in a week. Traders can work on their own and make millions. So the question remains. Are you ready to test yourself against the best and become a trader? My name is Anthony Beardsell. I am a trader and trading coach. 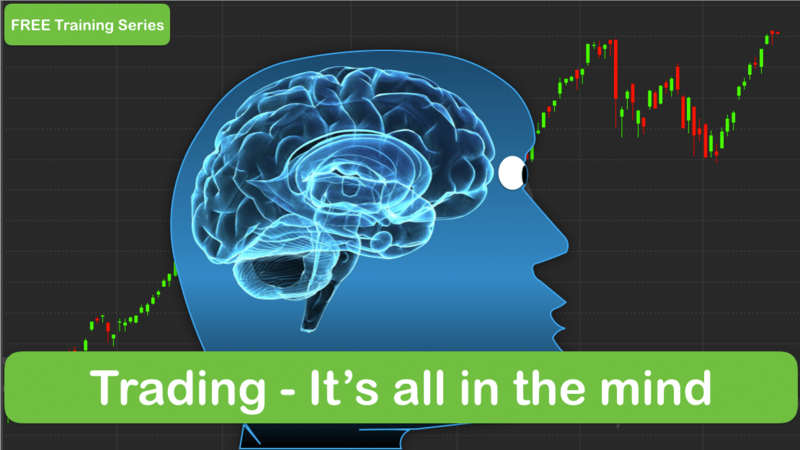 I have spent several years compiling a body of knowledge, skills, systems and mindsets that top traders use to make money in the financial markets. Back in the day I learned to trade successfully by modelling top traders. I read their books, I interviewed them, I coached them and I learned what they do that makes them successful. I learned their mistakes and made most of them myself in my own trading. I discovered what works for them, how they transitioned from losing beginners to consistently profitable traders. 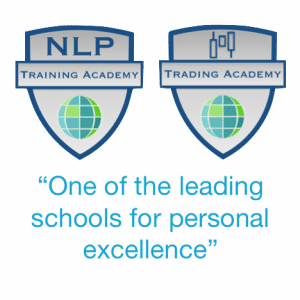 I have created a model comprising a methodology, a trail of techniques and a set of attitudes that can be learned and adopted by trading students of all levels to help them win in the markets. I want to share this model with you and teach you how to really trade. 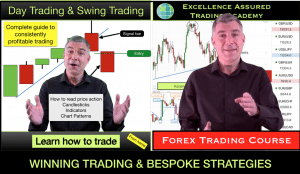 Once you have completed this introductory course then I would be delighted for you to join us on one of our premium Trading courses where I will teach you all the skills that you need to make money in trading. (4) What is Financial Trading? Trading is about making money by buying or selling financial instruments over a period of time. Traders dip in and out of markets, making short term buy and sell transactions when they spot what they judge to be good opportunities. They hope with each trade that their judgement will be correct and if it is then they will be profitable. Realistically each trade has a probability attached to it. A probability of success and a probability of failure. So, successful traders accept that they will have winning trades and losing trades. If they are right more times than they are wrong or if they make more money on their winners than they give away on their losing trades then they will make money over time. This is the aim and success in trading comes down to how well traders make their judgements and how well they manage the risk and reward in their trades. Making correct trading judgements comes with education, and a build up of skills and knowledge. Most successful traders learn and build systems that they work with and that help them make good judgements and manage their trades well when they are under pressure in the live trading environment. There is no free money in trading. There are hundreds of thousands of highly educated eyes and computers examining every move that a market makes. Every winner is hard fought. Trading is a mental challenge and only the most determined trader will survive and thrive. (5) What makes a trader? Traders speculate on the short term movements of financial markets. Traders are able to speculate by buying, hoping that the price in a market will rise and selling or shorting, hoping that prices will fall. There are thousands of tradable markets for home based traders. Some are rising whilst some are falling. This is the essence of the dynamics of supply and demand that plays out in the markets every day. A traders job is to assess supply (selling) and demand (buying) in a market and draw conclusions as to which side is likely to win in the short term. Prices rise and fall constantly. Even in the strongest of markets traders are able to make a profit by short term selling in between the spurts of buying momentum. However it is most common for traders, especially beginner traders, to make money trading in line with the short term momentum and price trend. When prices are rising traders buy and when they are falling then traders will sell. The job of a trader is to pick the right market to trade at the right time in order to make money by buying or selling and managing their risk. Traders make decisions to buy or sell based on their market analysis. Unlike investors who make long term decisions and may assess fundamental aspects of a company or market to assess value, most modern day independent traders are in and out of trades quickly, sometimes making many trades in both directions every day. They tend to assess value, overbought or oversold conditions in markets using realtime electronic price charts. They assess markets from a technical viewpoint. This is called technical analysis or chart analysis. Traders assess the information provided on a chart. This information is based on two things, trading volume and price. Traders charts depict the movement of price and represent how price is moving in accordance to the dynamics of supply and demand. Price charts show historical buying and selling data. They show surges in demand as price rises and surges in supply as price falls. They also show the direction of any longer term momentum or trend. Traders aim to predict future price movement using this historical technical data. Charts show us that price moves in certain ways that are never identical, however there are some common patterns that tend to repeat and when markets show their hand and momentum is very strong then the odds favour a continuation. Traders wait for what they assess is a statistical repeating pattern in price consolidation areas or a “high probability” surge in price movement before taking their trade. If they are correct then they make money. If they are wrong then they lose money. Their aim is to make money over a period of trades by making more frequent positive decisions than negative, and getting the correct balance between risk and reward on each trade. Price charts are a traders friend. They provide statistical information on supply and demand in a market in a way that makes interpreting the information easier than looking at a set of numbers. Supply and demand is created by orders made by traders, institutions and computers. Each decision to place a buy or sell order is taken based on judgements or assessments made with a view to making a profit. Traders use different timeframes, different systems and methods to make decisions and what may trigger a sell order for one trader may also trigger a simultaneous buy order for another trader. This two way process is how trades are enabled. Orders create liquidity. Traders thrive on liquidity and volatility in markets. When prices are moving then traders are making money. When more traders see buying opportunities in a market at a certain price than traders looking to sell at that price then they are in competition. There is a temporary imbalance in the market and buyers will need to pay more for their purchase in order to attract sellers on the other side of their trade. This is how supply and demand works throughout the day on every market. Price charts show us a never-ending pattern of ebbing and flowing between supply and demand. Sometimes the market balance is quite even and the price moves are small. Other times the market imbalance is greater and there is clear momentum in one direction or another. Still other market conditions can see huge swings between up and down as the battle is fought between supply and demand. In the moment all traders are looking at the same price information but they are looking at it in different ways. The two most common forms of price charts are line charts and candlestick charts. Price is represented over periods of time between monthly price periods and one second price periods. Line charts are a join the dots exercise. Each line represents one time period and the dots are created by the price that exists at the end of the specific time period. As one time period closes so another one opens and a line is created which moves until the end of the next time period. Candlesticks provide more information. They begin with the opening price of a time period and they form as price moves throughout the time period. At the end of the time period they leave an imprint depicting the open, high, low and close prices within that time period. 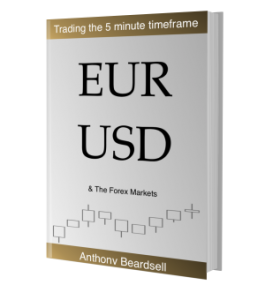 The most common time periods analysed by traders are the daily, 4 hour, 1 hour, 5 minute and 1 minute timeframes. Each 5 minute timeframe candlestick contains five 1 minute candlesticks. Each 1 hour candlestick contains sixty 1 minute candlesticks. You get the picture. A trader will pick a favourite timeframe or set of timeframes based on the system that they are using, the type of trades that they are looking to take and the time that they have available to spend at their trading stations. A trading setup that looks good on one timeframe may not look as good on another timeframe. Generally the more timeframes that say the same thing then the better the odds of a move in the market being a success as more traders are going to form the same opinion thus creating greater supply or demand. (7) When is a good time to buy or sell in trading? Successful traders never lose sight of the dynamics of supply and demand. When prices are falling then supply is outstripping demand and when prices are rising then demand is outstripping supply. When prices are falling then traders are making money selling and when prices are rising then traders are making money buying. When prices are falling then traders will continue to sell until they see signs that the demand is increasing and likely to start overpowering supply. When prices are rising then traders will continue to buy until they see signs that supply is increasing and likely to start overpowering demand. Ebbing and flowing of supply and demand causes trends. Prices move up and down in trends but they predominantly move in one direction until signs appear that the trend is ending. Trend continuation – Traders will trade in the direction of a trend using levels of value to determine where is a good point to enter. Trend reversal – Traders will anticipate trends reversing in order to exit trades in one direction and enter trades in the other direction. Even minor moves in the market have potential trend continuation and trend reversal opportunities. (8) How to tell if a trend is reversing or continuing? Traders will examine the details in price candlesticks. Single candlesticks and groups of candlesticks. They will look for formations in line charts and groups of candlesticks that indicate greater supply or demand or switching momentum. Traders may also read order flow (called level 2 analysis). When is a trend likely to end? Well, it may seem obvious but uptrends end when prices stop going up. Downtrends end when prices stop going down. Traders watch the ebb and flow. Is the market ebbing upwards or downwards? There are rarely straight line vertical moves in trading. A market goes down and then pulls back slightly. It reaches a consensus level of value and then it starts moving down again. Does it make a lower low? If not then the trend may be ending or reversing. Levels of value may be horizontal or they may be dynamic and sloping. They may be extreme levels or they may be average levels. Orders in both directions are likely to increase around value levels as this is where traders set their buy and sell orders. Trends end and reverse at extreme levels of value. Trend continuation and reversal confirmation tends to take place at average value levels and within pullbacks. Trends consist of breakouts and pullbacks. Breakouts make new price extremes. Pullbacks bring price back to averages and value. It is important to notice what happens before a pullback in order to determine whether the pullback may result in trend continuation or reversal. It is equally important to notice what happens at value to determine whether the pullback will turn into trend reversal or trend continuation and a further breakout. Sometimes a single price period represented by a candlestick provides sufficient information for a trader to make a judgement. Certain candlestick formations are statistically more likely to result in some form of reversal. Sometimes it takes analysis of many time periods to draw conclusions. 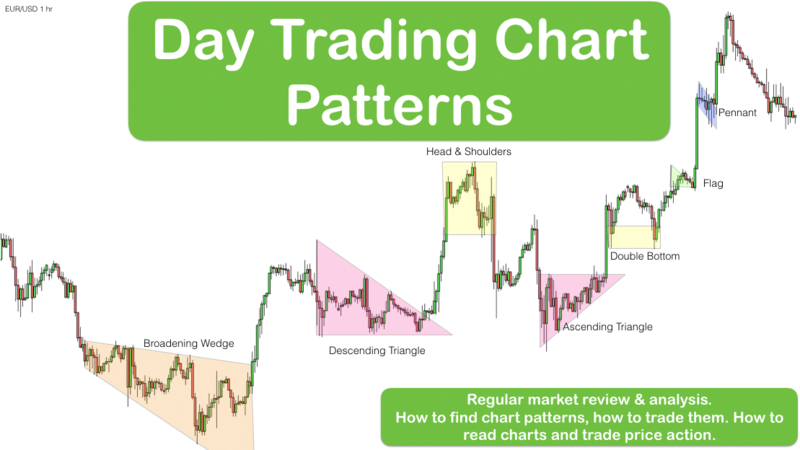 Other-times analysis of a group of time periods using lines is enough as the market produces a familiar pattern – called a chart pattern which often leads to trend continuation or reversal. Identifying market turning points as close as possible to the apex of the turn is a core skill for traders. It allows them to manage their risk and maximise their profits. Their risk on a trade is determined by the difference between their entry point and where they will get out for a trade with a loss if they are wrong. This can be and should be identified before a trader takes any trade. Traders set their exit or protective stop for a trade on the other side of the turning point. The closer the entry price is to the other side of the turning point the lower the risk. This is an intricate skill and a chicken and egg situation for a trader as the trader needs sufficient evidence to make their decision. The more evidence, the greater the level of risk. The lesser the evidence the lower the probability of making an accurate judgement. It is a balancing act. Perceived value extremes and numerical averages provide popular contexts for turning points and are therefore scrutinised and used by many traders. Traders can never eliminate risk but they can manage risk and this is what successful traders do better than the rest. READY TO BECOME A TRADER? 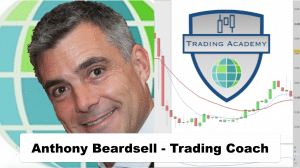 Learn to trade with Anthony Beardsell.